heather & olive: apple, brie, and prosciutto sandwiches. apple, brie, and prosciutto sandwiches. Last weekend I had an apple that was begging to be jazzed up, and I thought, what better way to jazz up an apple than by smothering it with brie and crispy prosciutto? And, after a little time getting melty in some butter, voila! 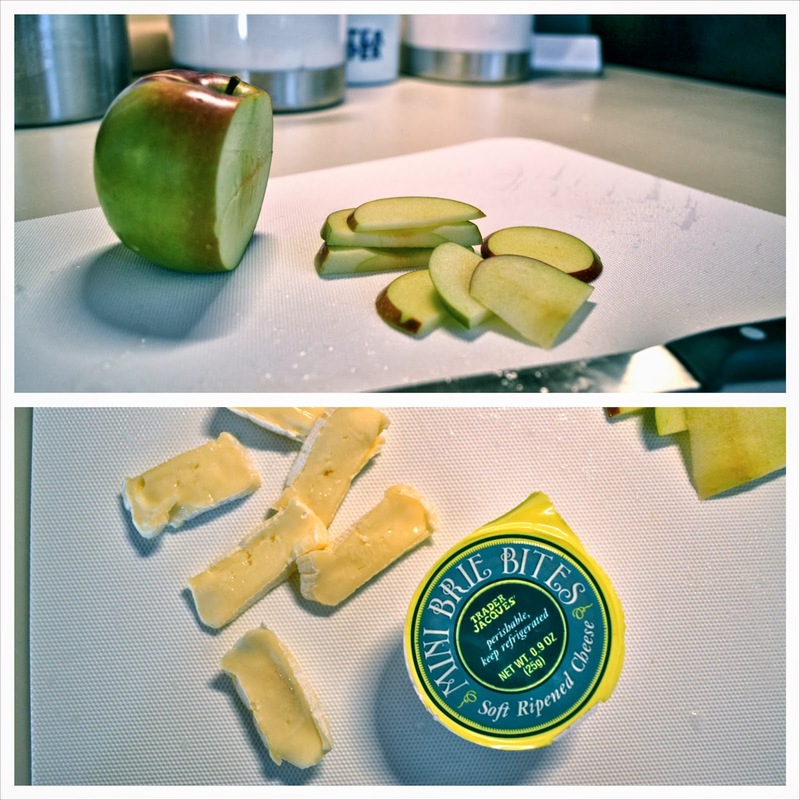 A jazzy way to eat an apple, courtesy of me. * that is a boldfaced lie. Welcome back! That sandwich looks amazing. Glad you are back! Was thinking about you. For some reason your blog didn't switch over to my Bloglovin' thing I use now! Will look into that. And reading this just made me go get an apple to eat. Unfortunately it is plain.